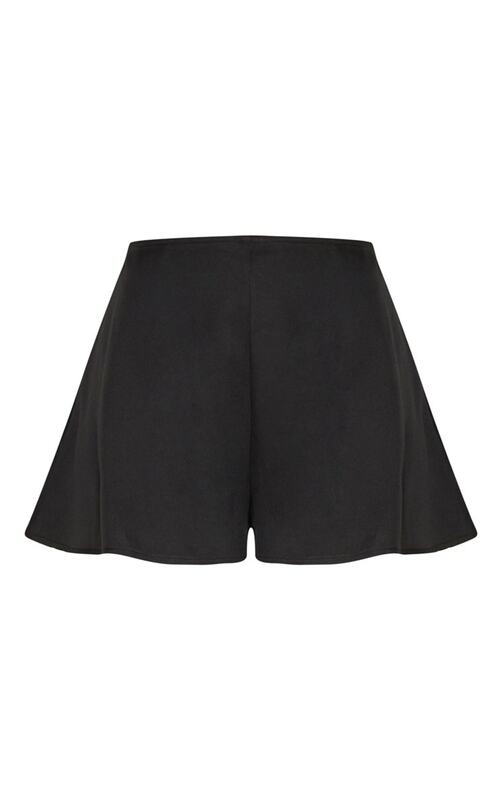 Dare head to toe black in these co-ord shorts girl. Featuring a black material in a floaty fit and a zip fastening. Style these shorts with the matching top and some cute black heels for an occasion worthy look.